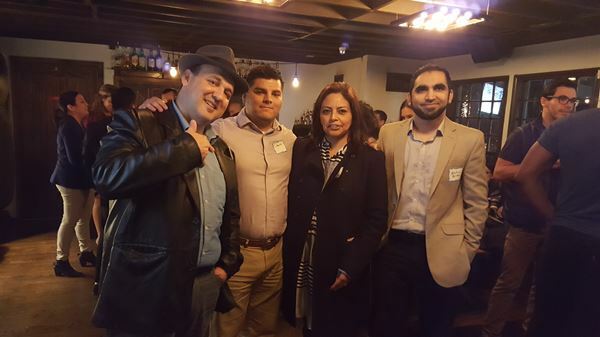 AIA celebrated the launch of the organization on Thursday, January 19th 2017 at Capone's Bar & Oven. After a successful first year, the AIA Houston chapter board decided to continue hosting its annual launch party at Capone's Bar & Oven. Both Houston chapter launch parties were sponsored by Merril Corporation. The 2018 launch party was co-sponsored by one of AIA's biggest sponsors and supporters to date, Qlik. As AIA adds chapters in other cities, membership will continue to grow. By 2019 we hope to have a few launch parties in various cities across the US. The new year launch party is one of 4 big socials that AIA will host each year. Pictures below include snapshots of the 2017 and 2018 launch parties.